Grand Worldwide has partnered with the worlds largest distributors of beer and wine to serve the needs of their wholesale network throughout the Midwest. Annually we warehouse and manage the distribution of over 40,000,000 cases of beer and over 5,000,000 cases of wine through our facilities. 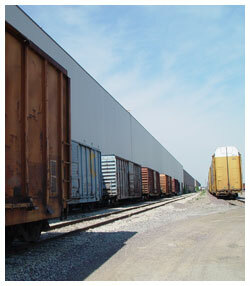 Grand Worldwide also serves the warehousing needs of the largest paper manufacturers in the US and abroad. We handle paper rolls weighing up to 8500 lbs and currently warehouse an average of 100,000 tons of paper in our facilities. Grand also serves the needs of the manufacturers who consume these products to produce everything from cups to fine print materials. We operate food grade facilities that manage the movement and storage of product for the nations leading ingredient manufacturers. We also provide unique consolidation services for the grocery industry, aggregating the shipment of goods for the vast number of suppliers serving today's largest grocery companies, thus reducing the costs of transportation for their entire supply chain. Grand Worldwide also offers custom warehousing services for the airline industry, cosmetic industry, and the industrial ventilation market. If you require warehousing or cross-dock services and are moving bulk product by rail, container or over the road, Grand is the clear choice.